Request a Quote Sign up for our Email Newsletter! Our installers are trained in their trade, and are the professionals skilled in designing and installing your new walkway. Transforming your landscape couldn’t be any easier than giving us a call. Options are affordable, reliable, and will last a long time. The perfect pathway to your front door, garden, pool, shed, and any part of your yard is reachable. Let your imagination run wild and allow our contractors to do the hard part. You’ll be kept in the loop the entire time and guarantee you’ll be happy with the results. 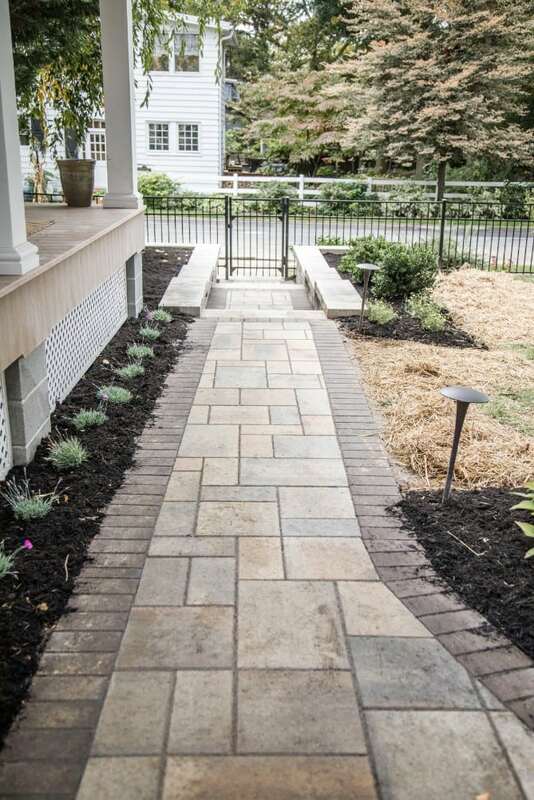 Custom pathways add curb appeal, and with the right people behind the project your house will be transformed. Compliment the look of your home with a new hardscape is fun! There are tons of patterns and shapes to choose from and we make the design process a breeze. Our creative team will take the time to discuss directly with you the image of your landscape. We help you to get your ideas down on paper and show you your dream as a professional design. We are proudly a part of the Interlocking Concrete Pavers Institute (ICPI) as well as the National Concrete Masonry Association (NCMA). We are certified as well. Together, these associations are a collective of product manufacturers, engineers, and contractors. We are constantly and consistently looking into furthering our education about everything concrete and landscaping. We are proud of the work we perform for our clients and cannot wait to make your dream a reality. 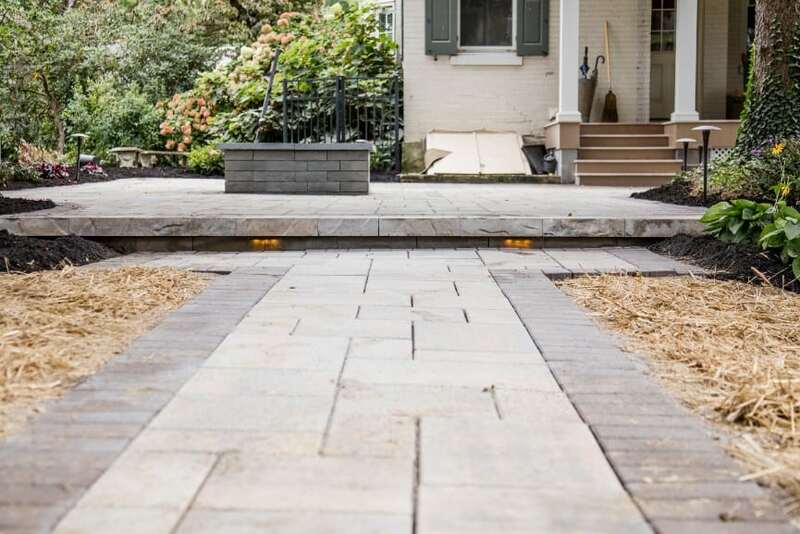 We feel that we are among the strongest compared to other walkway companies in Harrisburg PA.
Providing walkway and patio installations in Harrisburg PA and the surrounding areas. We also offer landscape maintenance services, snow plowing services and much more. Serving Harrisburg, Camp Hill, Hershey, Hummelstown, Mechanicsburg and other cities and towns in Pennsylvania. Harrisburg Area Landscape Maintenance Services: Snow Removal, Fertilizing, Lawn Maintenance, Fall Clean Ups, Spring Clean Ups, and more. 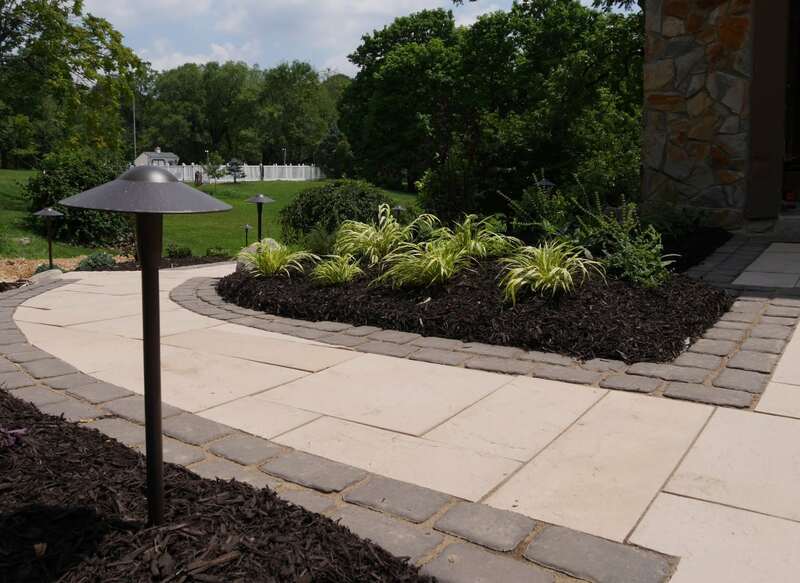 Harrisburg Area Outdoor Living Services: Walkway Installations, Patio Installations, Water Feature Installations, Retaining Wall Installations, Landscape Lighting and more. Get on our Email List for the latest and greatest tips and specials!